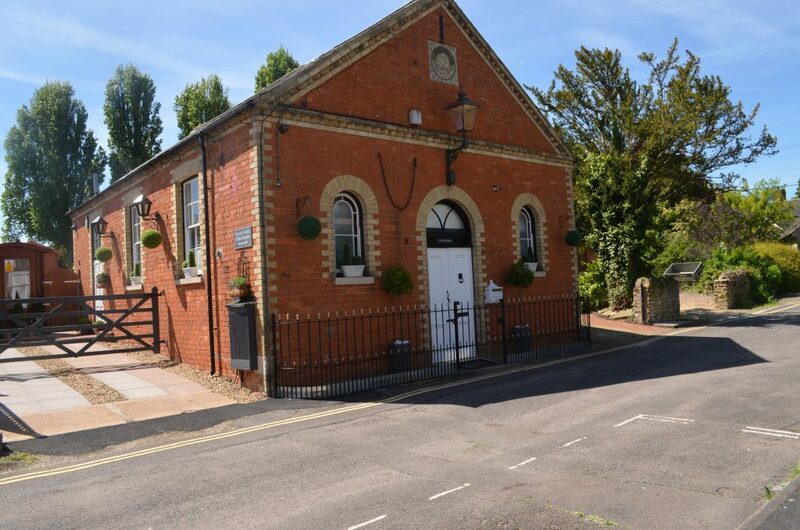 Located just off the Grand Union Canal in the heart of the beautiful village of Stoke Bruerne, The Old Chapel offers exceptional accommodation, excellent food and the warmest of welcomes. 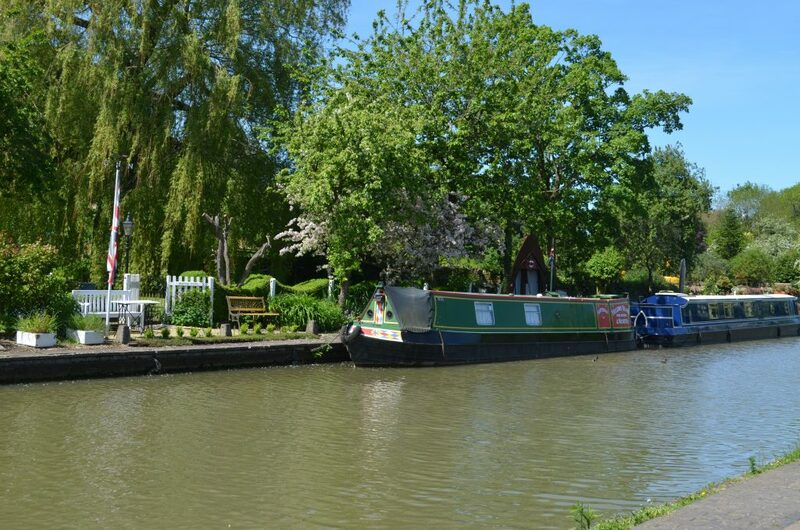 Whilst the Grand Union Canal provided the backbone to England during the Industrial Revolution, today it provides Stoke Bruerne with a gently meandering focal point and the perfect place to spend a long weekend or short break. The property itself, The Old Chapel boutique B&B, is as historically important as the canal, as it was originally a Wesleyan Chapel dating back to 1879. 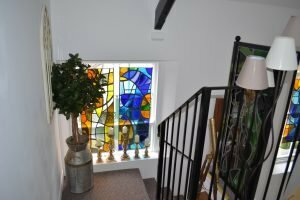 Restored by its owners with endless attention to detail, The Old Chapel is now a luxury B&B offering three suites each with their own individual character and feel. Ideal for those looking for seclusion and privacy, The Old Chapel offers in-suite dining as well as a well-stocked Chapel Pantry in the vestibule. With many great local sites to visit, there’s plenty to do with jam-packed heritage and horticulture itineraries, days at the races or shopping at Bicester Outlet. Alternatively, if you don’t fancy venturing out, you can enjoy the giant garden games whilst relaxing with a drink on the patio. 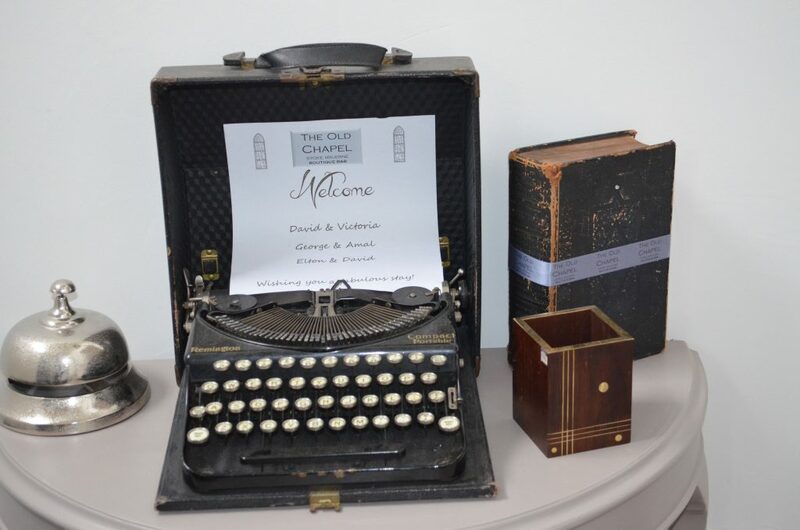 The Old Chapel is also the perfect wet-weather venue, with games, books and DVD hampers to help you relax and unwind. 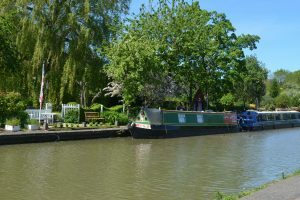 The village of Stoke Bruerne is a charming location to spend time in, with two local pubs and restaurants for those who like to explore in the evenings. If, however, you find that you’ve seen and done enough during the day, simply slip into one of The Old Chapel’s fluffy white bathrobes and ‘Netflix and chill’. ​The Old Chapel is well served with several international transport hubs nearby, with Luton and Birmingham under an hour away and Heathrow just over 60 minutes away. With two railway stations a short distance away, visitors find themselves both able to make an easy escape from London for the weekend or visit the capital as part of their Old Chapel stay. Calling The Old Chapel a home from home doesn’t do the property justice, yet it perfectly sums up the attention to detail that has been paid to attending to guests’ every need. 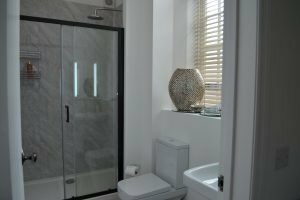 With everything that you are used to having at your fingertips at home, including Netflix and nibbles, The Old Chapel then adds layer upon layer of carefully-thought out little touches that make it a destination to remember. 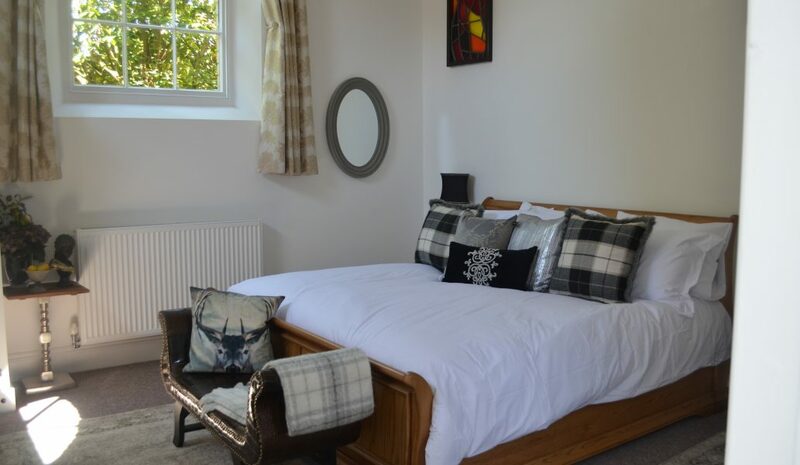 From a welcome drink on arrival to an afternoon snack menu and bookable picnic hamper to keep hunger at bay, there is everything you could possibly wish for during your stay – The Old Chapel seamlessly marries luxury touches with the comforts of home. The Old Chapel may have three rooms that are superbly decorated each with their own distinct feel and vibe, but this property has so much more to offer than a glorious night’s sleep – and this is down to the mother and daughter team behind the scenes, Elaine and Nadia Pieris. Elaine’s experience of event management and hospitality on the global stage means that she has stayed in some of the most fabulous venues on the planet and has brought all of the nicest touches in to play at The Old Chapel. 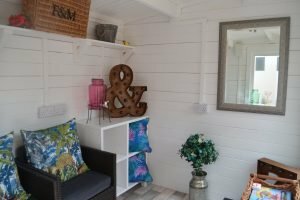 Nadia offers another side to the guest experience, offering a sanctuary for guests in the holistic massage and facial cabin. 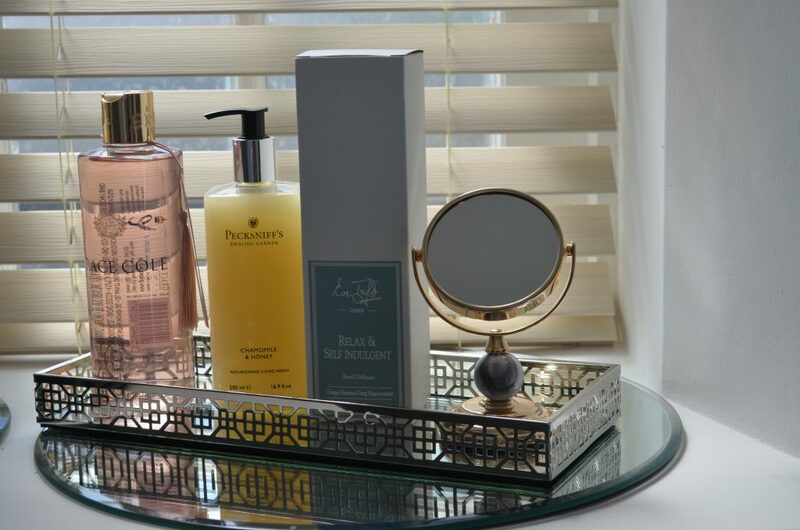 Training at Champneys International College, Nadia holds the CIDESCO qualification and now practices as a Beauty and Holistic Therapist, with appointments bookable from guests at The Old Chapel. Body, mind and soul are all well looked after at The Old Chapel, from the buffet breakfast with locally sourced products and guest bottle fridge complete with complimentary soft drinks, to the patio garden with BBQ area and hot tub for guests to truly unwind in. If you’ve still got some energy to burn, guests can hop on one of The Old Chapel’s mountain bikes for a leisurely spin alongside the Grand Union Canal. 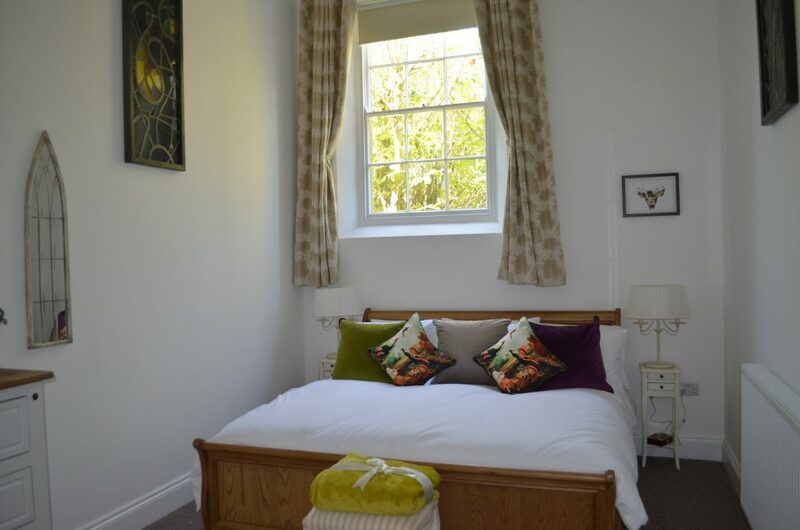 There are three suites at The Old Chapel and while each have a look and feel that is unique to them, all rooms are beautifully decorated, with plump pillows, warming blankets and a well-stocked hospitality tray with complimentary premium teas, coffee, water and snacks. All beds are either super king or king size. A good night’s sleep is only one aspect of what the three suites offer. 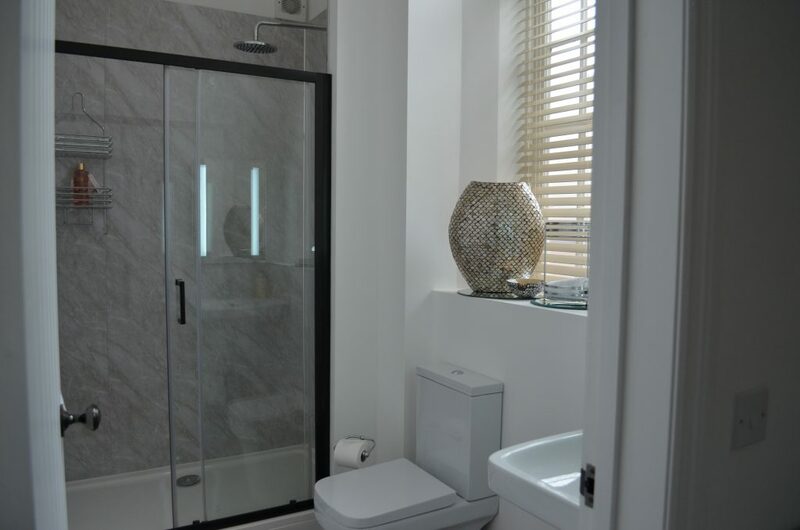 With free WiFi, salon style hairdryer, an iron and ironing board at your fingertips, it will be easy to do everything that you need to during your stay at The Old Chapel. When it comes to relaxing, the fluffy bathrobes will envelope you after your shower. 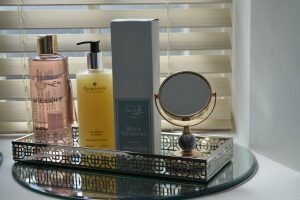 Don’t forget to make the most of the high quality, luxury bathroom toiletries on offer. During peak season (April to September) prices range from £95 – £110 per night. During off season (October to March) prices range from £80 – £95 per night. 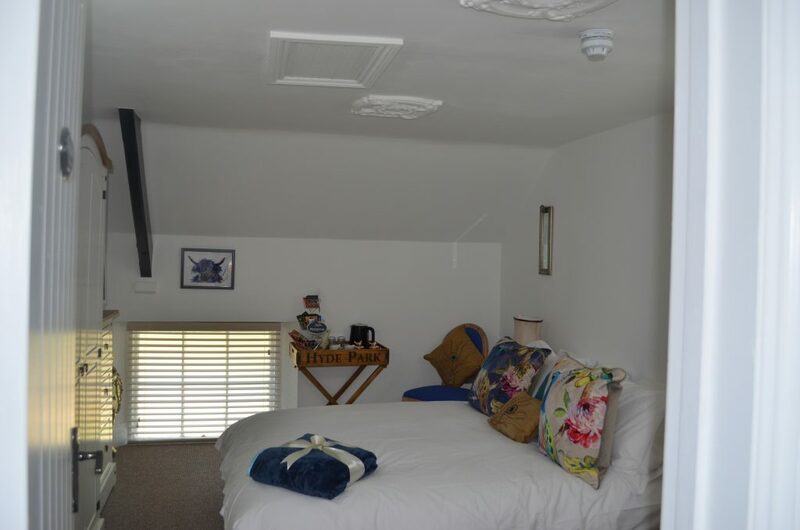 The Mezzanine Suite is also available to book on a room only or single occupancy basis. Prices range from £55 per night off season to £70 per night peak season room only, or £65 per night off season to £80 per night peak season for single occupancy. The Old Chapel Suites are also available to hire on an exclusive basis for House Parties, Corporate or Bridal Parties and sleeps from 6 – 10 people. Prices on application. High season rates apply during the Festive Season. Christmas and New year packages are available from 23rd December to 1st January inclusive. Guests breakfast in the Chapel Pantry situated in the Vestibule, and can help themselves to an ‘as much as you like’ breakfast which uses locally-sourced food. 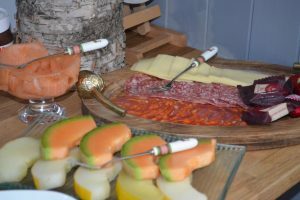 You can choose from a wide selection of breakfast cereals, pastries, toast with a choice of jams, honey and marmalade, a continental platter or yoghurt and fresh fruit. The Old Chapel also offers a cooked breakfast consisting of scrambled eggs, sausage, bacon, hash browns and beans. 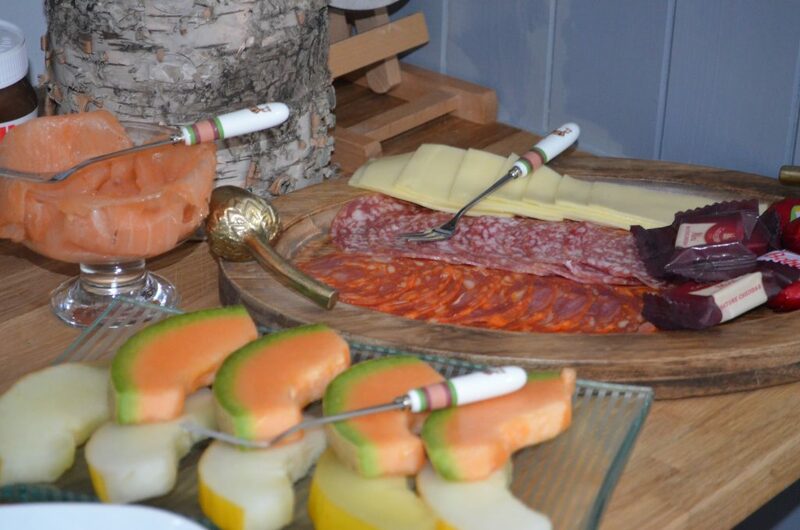 To complement your breakfast a selection of fruit juices along with tea and coffee is available. The Old Chapel also offers afternoon tea which includes a delectable choice of sandwiches, savoury cheese scones, plain and fruit scones served with jam and cream, a delicious choice of cakes, pink lemonade and a selection of teas from around the globe or coffee. Please note that afternoon tea is charged as extra. In-room dining is also available in the guest suites, with a buffet selection from the Vestibule Pantry. The Old Chapel are happy to accommodate specific dietary requirements which should be advised at the time of booking. You have found a wonderful place to stay and Boutique and Breakfast is committed to giving you a personalised service so that you can find the right room at the right price. Simply fill in our enquiry form and within 24 hours you will receive a response from The Old Chapel tailored to your needs. This will be in the form of either a telephone call or an email.